Decadent chocolate pudding and rich chocolate sauce was awarded a bronze medal at Sydney Royal Show. What could be better on a cold winter’s night that a gooey, decadent chocolate self saucing pudding served with a scoop of icecream or double cream? 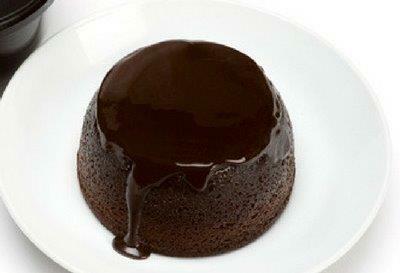 Also a great alternative for Christmas dinner for chocolate lovers. Ingredients: Sugar, Flour, Apple Puree, Butter, Egg, Water, Cocco Powder, Dark Chocolate(11%), Glucose Syrup, Skim Milk Powder, Veg Fats, Baking Powder, Soda, Spice, Preservative(202), Humectant(420), Emulsifiers(471 soy, 475), Thickeners (1422,410, 415, 401), Milk Solids, Acid(331).